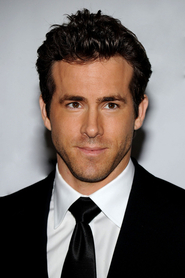 Ryan Rodney Reynolds (born October 23, 1976) is a Canadian actor. He is known for his roles in National Lampoon's Van Wilder, Waiting..., Just Friends, Definitely, Maybe, The Proposal and Buried, as well as Wade Wilson/Deadpool in X-Men Origins: Wolverine. His television roles include Michael "Berg" Bergen on Two Guys and a Girl. Reynolds also stars in the upcoming DC superhero film Green Lantern alongside Blake Lively and Mark Strong. Description above from the Wikipedia article Ryan Reynolds, licensed under CC-BY-SA, full list of contributors on Wikipedia.